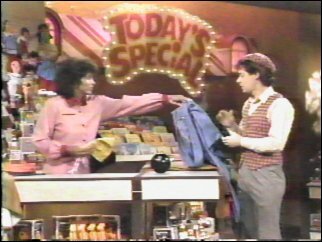 Today's Special is a children's show created by Clive VanderBurgh, and produced by TVOntario, and set in a department store. In this setting, the main characters learned about a wide variety of topics, from light subjects like the different kinds of fruit (Fruit), the many things we use our hands for (Hands), and the making of a movie (Movies), to more serious issues such as dealing with death and dying (Butterflies), and alcoholism (Phil's Visit). Who are the show's main characters? There are a number of main characters on the show. Some can be found on every episode, others on most episodes, and some occasionally. Jeff, a mannequin whose magic hat lets him come to life after the store has closed. Jodie is the store's display designer, a lovely woman who is also Jeff's closest friend. Sam is the store's security guard, and a retired sailor. When not making his rounds, he can often be found in the computer room attempting to make TXL work correctly. Muffy is a mouse who has made her home in the store after her previous home was torn down. Muffy always talks in rhyme. 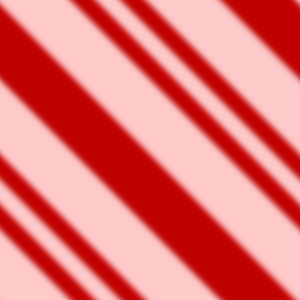 TXL is, as previously mentioned, the computer, performing such functions as operating the store's public address system, security system, and many other functions. Additionally, Mrs. Pennypacker, also known as "Mrs. P", can be found working late in the stock room from time to time, and will happily tell of her many experiences with royalty and other important people. The Mime Lady interacts only with TXL in certain quiz scenes, miming objects, actions, and more in hopes that we can figure it out. Waldo the Magnificent is the magician that originally gave Jeff his magic hat, who has visited the store from time to time to say hello, or occasionally needing help from everyone. Lastly, Mort is Muffy's cousin from the farm, also speaks in rhyme, and occasionally comes to visit at the store. Was "the store" a real store? While the Children's Department, Muffy's Place, the Computer Room, the Stock Room, and the roof were television sets, other scenes were in fact filmed inside a real store. This store was the Robert Simpson Company, otherwise known as Simpsons, built in 1896 at the corner of Yonge and Queen Streets in downtown Toronto. This store is still open today, though it is now known as The Bay. During what years was Today's Special produced? Today's Special was produced from 1981 to 1987, with an average of 17 episodes per season. In the show's later years, the sets were quite different from those seen in earlier years. What happened? At the beginning of the 1984 season, the sets used on Today's Special were indeed updated, some more than others. This occurred on the show in the episode Changes, which centered around the store's being completely redecorated. The Children's Department's change was mostly a change in colors along with the addition of two large light-up Today's Special signs. Muffy's Place received a new entrance, and the computer room was completely redesigned with new cabinets and such to hold all of Sam's stuff, previously out in the open. Additionally, the roof was transformed from something functional-looking to a gorgeous rooftop terrace complete with flower beds, etc. On the show's opening, two sets of chimes at the very beginning indicate whether the episode was made before or after the set change. The presence of the chimes indicates it was done after the change occurred, and the absence of chimes indicates that it was done before that point. It is unknown what the reason was for the 1984 set change. Where can I find an episode guide for Today's Special? You can find a comprehensive episode guide for Today's Special at this site. For each episode, there is a detailed summary, as well as a listing of quizzes, nursery rhymes, and other notes. Episodes are listed by year, and then in broadcast order. The episode summaries were written by Laurie Russell unless otherwise indicated, and we appreciate her tireless efforts to bring us these summaries. There is discussion of parts of an episode of the show that I have never seen before. Why is this? 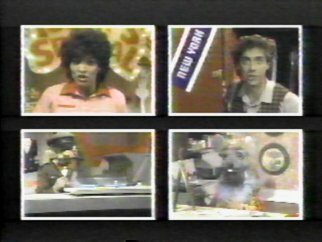 A typical episode of Today's Special runs for 28 minutes and 50 seconds, as the show was designed to be broadcast on a network that does not air commercials, such as TVOntario in Canada, or PBS in the United States. When Today's Special was aired on commercial networks, such as Nickelodeon or the Faith and Values Channel (now the Hallmark Channel), portions of each episode which did not substantially affect the plot of the episode were deleted from the final broadcast in order to allow time to air commercials after the show. No network to my knowledge ever tried to interrupt the show for commercials. Each network that deleted scenes decided for itself which scenes to delete, and results varied. In the episode guide found at this site, whenever possible, we have indicated which scenes were deleted from the broadcasts on Nickelodeon.